Meet a new friend through Vi Ses! Språkvänner i Linköping! “Vi Ses! Språkvänner i Linköping” is a neutral meeting platform for people interested in making a new friend. We match someone who is newly arrived in Sweden* along with someone who is well established in Sweden*. 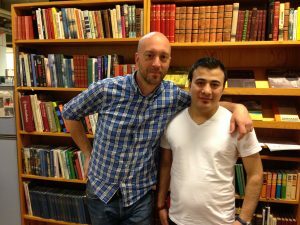 The person who is newly arrived in Sweden wishes to practice/become better in Swedish while the person who is well established in Sweden wishes to get to know someone from a different culture and answer those questions the newly arrived might have about the country. Being a language friend is supposed to be educational and rewarding for both parts in the friendship. Well established in Sweden*: is a word that is being used to describe that you 1) experience being established in Sweden 2) speak good Swedish and can help someone with the Swedish language. As well established in Sweden you can be 1) born in Sweden 2) raised in Sweden 3) lived in Sweden for many years and experience being established and that you do not have to practice the language anymore. 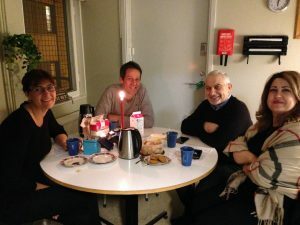 Newly arrived in Sweden*: as newly arrived in Sweden you wish to practice Swedish and become friends with someone who is well established in the country and knows the society well. What is a Language Friend? First of all you are supposed to have fun together and get to know each other. You can, for example, go for walks, have a coffee or attend study circles together as well as other activities that you find fun or interesting. You decide this together. Being language friends is not about being someone’s guide or guardian. Neither is it about receiving a ”Swedish contact” that you can require assistance and support from. It is about getting to know each other over the cultural borders, have fun together and, perhaps, make a friend for life. How do you Become a Language Friend? Apply for the project. Fill in a notification of interest as carefully as possible. You can become a language friend by yourself or along with your family. If you wish, you can write who you would like to meet and we will take it into account during the matching process. We will call everyone to see if they are happy with their suggested match. We will arrange a first meeting where you and your language friend will get together along with us. This is, most of the times, arranged in the red cross’s facilities. We will have a cup of coffee and give you an introduction to the project. After the introduction, you will get the opportunity to talk to each other for about one hour. Tell them about yourself and be curious about each other. Talk about your expectation of the project. What would you like to do and how often would you like to meet? Change phone numbers and decide when you will get together next time. Are things working out well for you and your language friend? Congratulations! Keep on meeting and having fun! Are things not working out between you? If you have difficulties finding time to meet, if circumstances in your life change so you cannot be language friends anymore or if you feel that it was not a good match due to personal chemistry – contact us! Your participation in “Vi Ses” will end after six months. This doesn’t mean that you have to stop hanging out as language friends. On the contrary, we hope that you will keep staying friends as long as you wish and are able to – perhaps for the rest of your lives! Vi conclude our interference because our job is to be a helping hand at the beginning. We will have a follow-up with you regarding how the project has gone. We will call and ask questions such as “have you continued to meet?” as well as an additional couple of questions. Following our follow-up, we will delete you from out notification of interest. 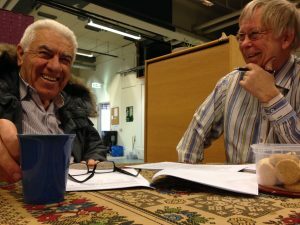 The interest of becoming a language friend is much higher amongst newly arrived than amongst well established in Sweden. This, consequently, means that there is a long queue for getting a language friend. It can take up to several months. It is important that you fill in as much information as possible when handing in the notification of interest – it makes it much easier to get a language friend. You can also write if you have any specific wishes of who you would like to meet or if it doesn’t matter who it is. If you don’t have any specific wishes the process of being matched will be faster. We are trying to find good matches and hope that it will be worth the wait. There are 100 people waiting to receive a well established friend. The queue is especially long for newly arrived men and unaccompanied boys. We are, therefore, encouraging well established men to apply for the project in order to shorten the queue. A lot of women wishes to meet other women which makes the queue long. We are, in firsthand, always trying to match unaccompanied boys or men. A lot of unaccompanied migrants wishes to make a well established contact. They don’t have any family and a friend can be something incredibly important. We match unaccompanied migrants with well established in the same age, older, families or singles. Vi always ask the unaccompanied migrant if the match suggestion is okay and age differences are rarely an issue. “Vi Ses” also suggests that that if you would like to make an extra effort for unaccompanied migrants or other children who needs help and support, you can receive information at “Frivilligcentrum”. Perhaps you would like to be a contact person or a family home? 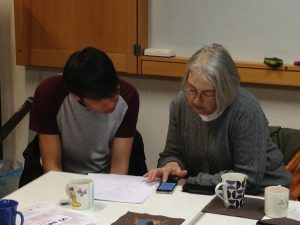 When a participant applies for “Vi Ses”, the person hand in personal data such as name, phone number, address and sometimes personal notes that are needed in the matching process. This information is kept safe by “Vi Ses” and are not being handed out to anyone else except the agencies that require it by law. 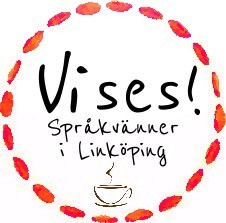 “Vi Ses” can suggest projects and organisations that work according to the same objectives and goals as “Vi Ses” in order to help the participants in learning Swedish and finding new acquaintances. No personal data is handed over to these projects/organisations without the participants approval. 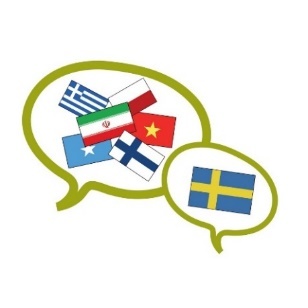 An example of a project that “Vi Ses” collaborates with is Family by Family that is run by Linköping municipality and where newly arrived families can receive help form a mentor that speaks their mother tongue. All data about a participant is gathered and a participant can contact the project leader whenever in order to change or delete any data. Data about a participant is being deleted maximum one year after receiving a language friend in connection to the follow-up with the project leader. The personal data is needed in order to make good matches. If you have any questions, you can call the project leader at 076 338 78 83.